get found, convert, and look good doing it! 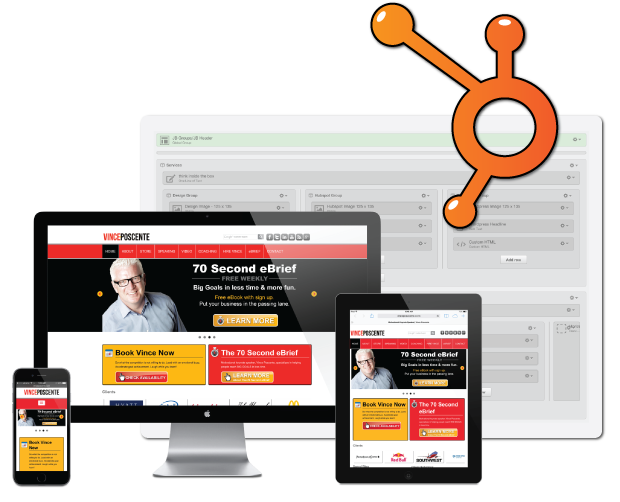 You have made up your mind that inbound marketing with the HubSpot platform makes sense for your business. Chances are, you have come to the realization that you could use a hand with all of the powerful new tools at your disposal. From complete website design on the HubSpot COS to optimization of landing pages and email templates, we have all of your HubSpot design requirements covered. You have diligently crafted your copy, created compelling offers and your funnels are fully optimized to take full advantage of how inbound marketing works. Doesn't it make sense to do the same with your design? We've been helping clients do just that on the HubSpot platform for the last five-years. Over that time we have learned what works and what works better when your modern day marketing efforts are paired with design elements that help to gently guide your visitors in the right direction. We call this "Inbound Design," and we would love to talk to you about how it can help you get the most benefit from HubSpot for your business.